Parallel Editions is the brain child of Suzannah O’Reilly Mullaney and Brian Fitzgerald, two long time printmakers and established artists in their own right, who have been working both, independently in the medium of print, as well as collaboratively with artists, designers and all round creative’s transforming their ideas and thoughts into high quality prints. A further unique feature of Parallel Editions will be the intent to develop the appeal of the traditional, handmade low edition artist book that has a much more value than that of the commercial large run publication. 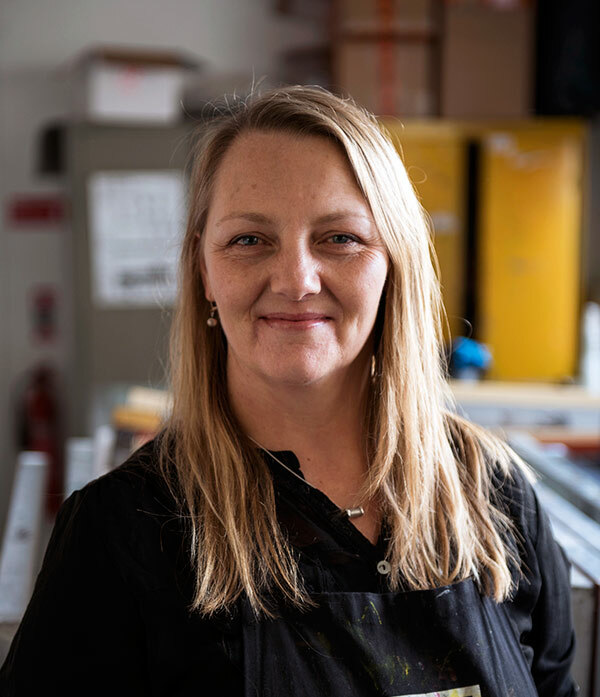 Suzannah has been involved in Printmaking for the past 25 years and is a practising Artist, Printmaker, Fine Art Lecturer and Curator. She studied Fine Art Printmaking in The Limerick College of Art and later completed an MA by research in the Crawford College of Art, Cork. 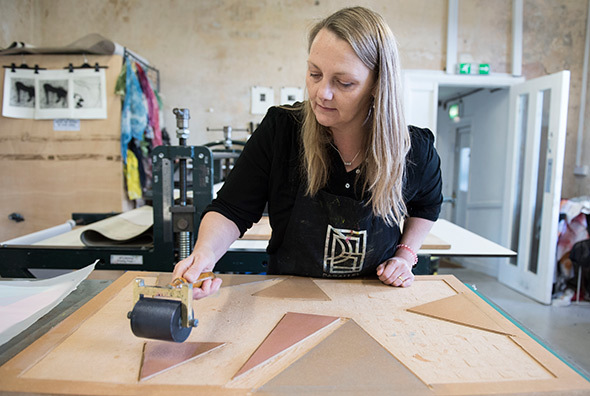 Printmaking has never lost its magic for Suzannah whose love of process and pattern and the chance element of certain techniques has kept printmaking foremost in her own work and life. Wether it’s making her own work, teaching, collaborating or curating, printmaking is constant element. 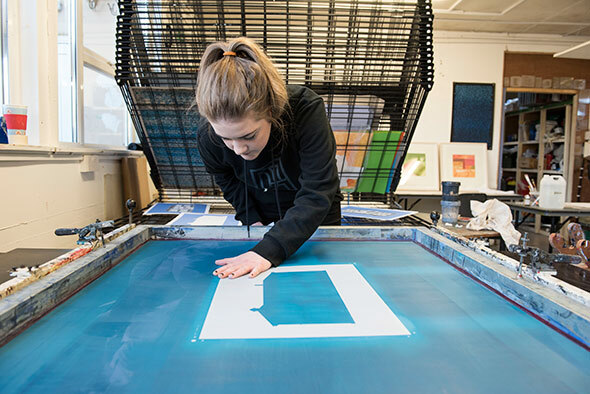 The influence printmaking has had on Suzannah has led her to co- founding Parallel Editions where making prints in collaboration with an artist and publishing Fine Art prints is not only a job now but is also an indulgence in a love of the practice of printmaking. Enlightening the public and artists alike, and conveying the magic of print to others is hugely rewarding and satisfying element of being part of Parallel Editions. Brian has a long time affinity with the idea of collaboration in making, what occurs during the exchange between makers and the outcome that develops. It is a relationship that is evident through his background as an educator and has manifested itself in the culture at Parallel Editions. He also has a love of process, art and machines. Of course printmaking is all that. He started life constantly making and tinkering and credits his mother with introducing him to the arts through her love of reading and vintage movies as well as encouraging his love of drawing and painting of course the son of a mechanic it is easy to see where his affinity with machines and problem solving comes from. Brian gained his undergraduate degree from Limerick School of Art and Design. After that he attended the University of the Arts, London gaining a Masters Degree and later returned to Limerick to gain a Higher Diploma in Art & Design Education. He has taught across all age groups in both Ireland and the UK. 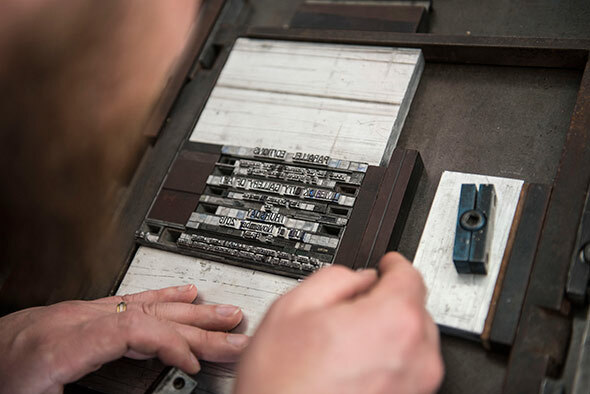 While we publish all our limited edition prints in house, we also are printers for hire. We are available to work with individual self publishing artists or galleries to complete their desired projects. This is a very desirable option as our expertise and knowledge can save a lot of valuable time and money for independents with limited budgets and skill sets needed to produce original limited edition fine art printed editions or small run handprinted artists books. We devote all our skills and resources to your project and are a widely knowledgeable to guide you to get the best results possible. 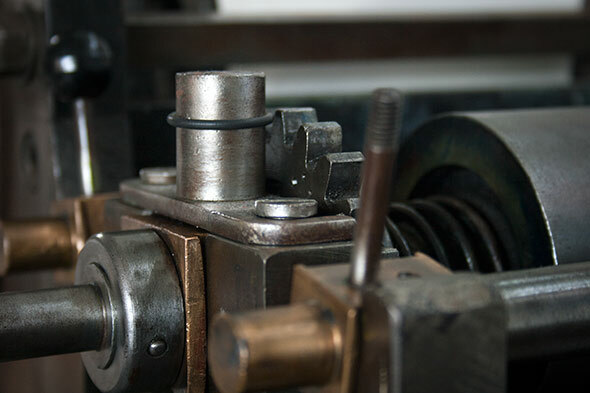 We are equipped to complete your desired project in a wide variety of print disciplines including but not limited to: Intaglio (etching, aquatint, spit bite and photogravure), Lithography (stone, plate and photo), Serigraphy (archival silkscreen for paper and fabric), Relief (Woodcut, Linocut) and Letterpress printing (Handset type) as well as high quality archival pigment digital printing. We publish, acquire prints or artist books, individually or in collectives/portfolios for individual private clients, large corporate clients, institutions’ and galleries. We work with clients such as Interior Designers and Architects to provide work for projects they are working on such as hotels, offices and public spaces. 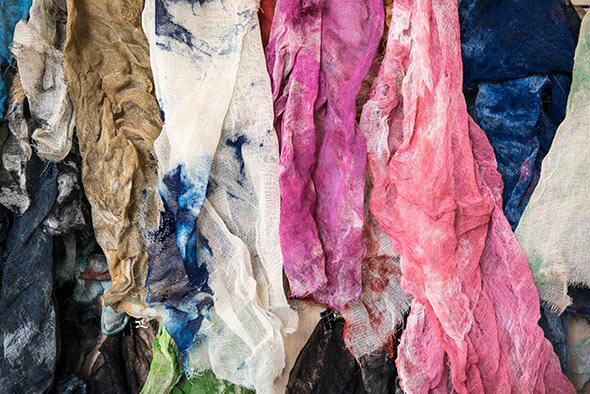 We can acquire specific pieces of work for clients and work with specialist partners to provide services in instillation, handling and transportation of art work to clients homes or businesses. We also offer a consultation service for clients wishing to acquiring traditional original limited edition prints and need advise before purchasing. We can provide corporate clients with the rental of Fine Art Prints for settings such as offices, restaurants, corporate functions, sets for film and TV, waiting rooms and show rooms. Please contact us to discuss further how we can assist you. 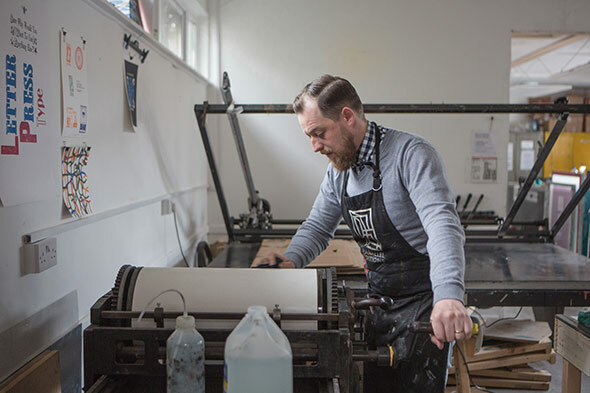 Parallel Editions supplies specialist printmaking materials and sundries for the artist printmaker. 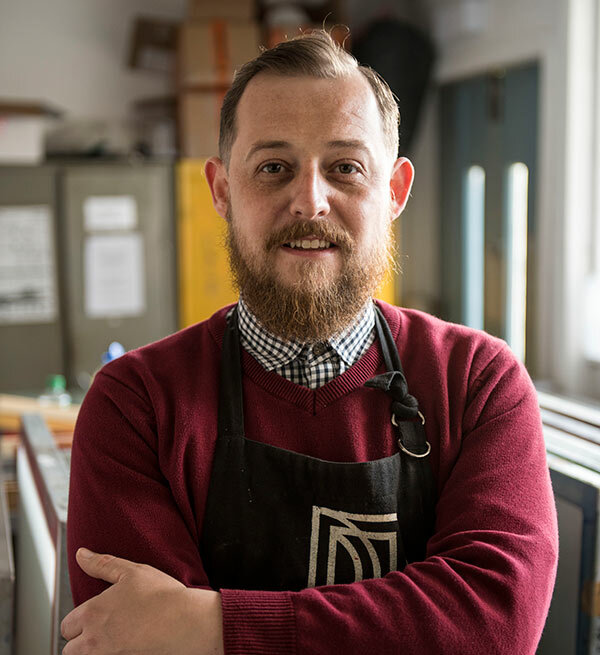 We provide a bespoke service that acquires the right products for the printmaker while also offering the necessary support and advice on how to get the most from their purchases. We supply a wide variety of clients ranging from the individual artists to collective workshops and educational institutions.